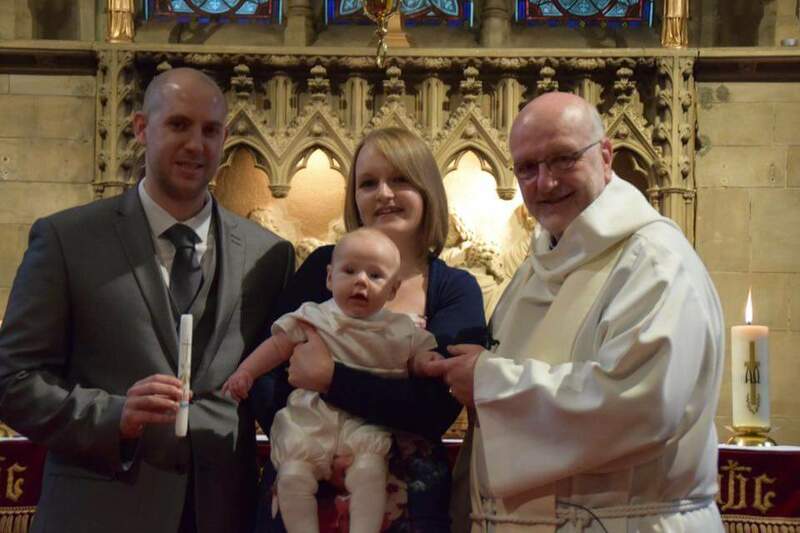 Before Alfie was born, we knew that we would have a christening for him. I have grown up going to church and love the sense of family you get from being part of a community. 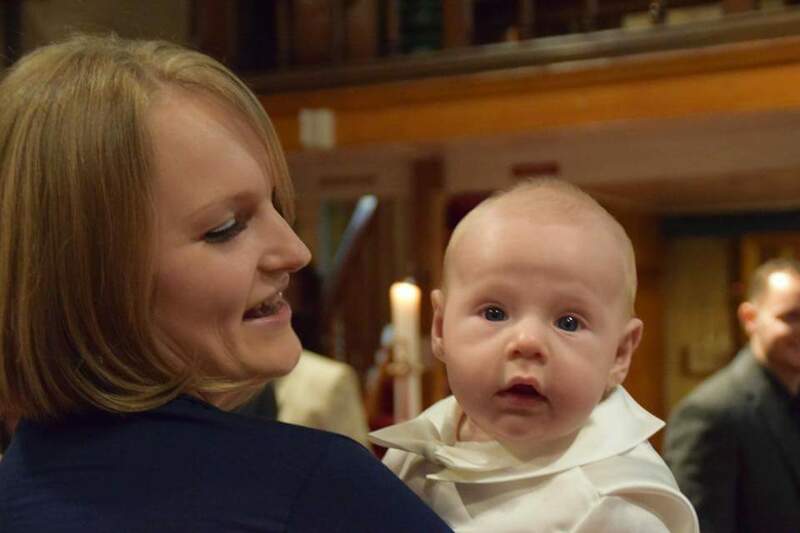 We decided to get him christened at my family’s church – it was where Craig and I got married, where my grandparents married, my parents married and myself and all my siblings and many cousins were christened there as well. 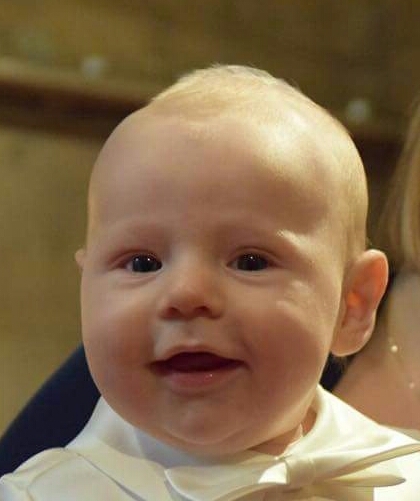 So it was a no-brainer that Alfie would be christened at All Saints Church in Cranham. 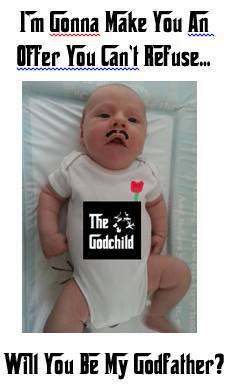 I wanted to do it when Alfie was young, so we booked it for November when he was 4 months old. Getting a date was probably the hardest bit of arranging the celebration because so many of our friends and family work weekends and do shift work! And our church had a huge backlog of events due to a change of vicar, but we eventually settled on a date that everyone could attend. 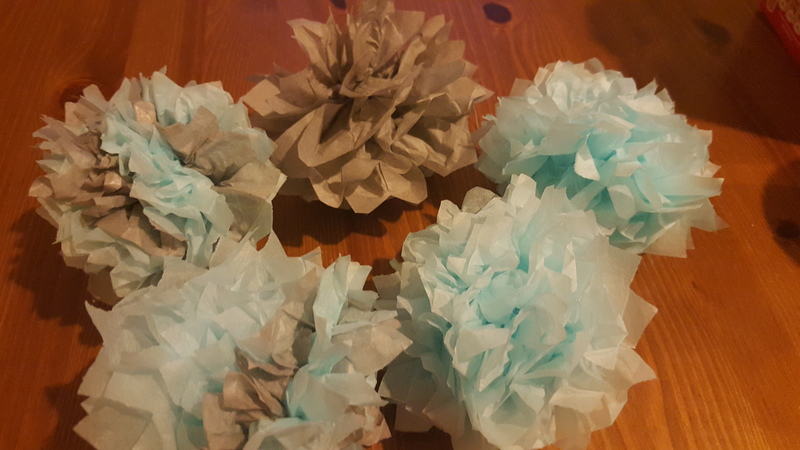 We held the christening party at the church hall as it was convienient, no-one had to drive anywhere and the hall was fairly big so everyone would fit in. I decided that instead of doing a normal buffet, we would host afternoon tea. 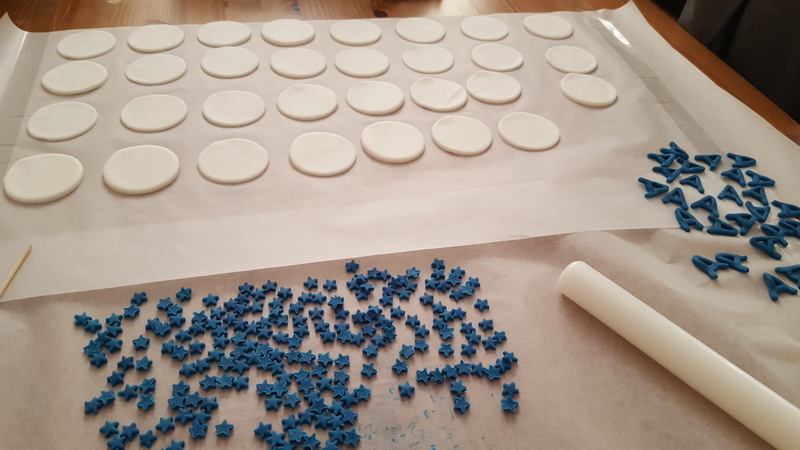 I am extremely lucky that my sister and best friend (Alfie’s godmother) are cake makers for their jobs, so they helped me out in making a HUGE amount of cakes! 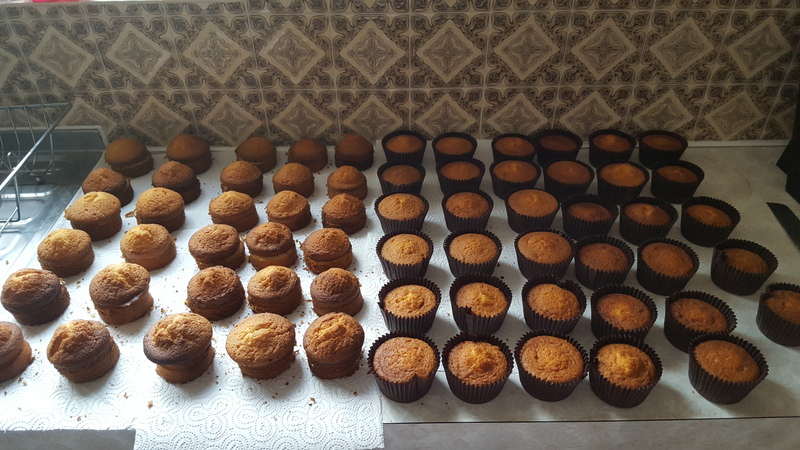 Again, I don’t have any photos, but the display was immense – we had carrot cake, black forest cake, lemon drizzle cake, mini Victoria sponges, vanilla cupcakes and scones (omg, the scones – we had cherry, fruit, almond, and plain, with cream and jam). We also had platters of sandwiches, and I did a mini afternoon tea for the kids with fairy cakes, rice crispie cakes and mini brownies and flapjacks. We served tea, coffee and soft drinks and then said people could bring their own alcohol if they wanted. 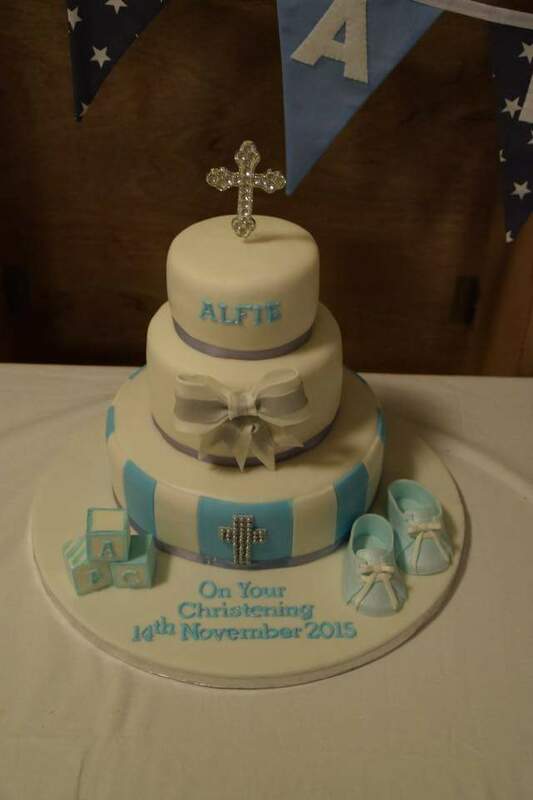 My friend also made Alfie’s christening cake which was just amazing (I did get a photo of this!!). Check out her other amazing cakes here. Alfie’s amazing christening cake! I’ve kept the blocks and booties, need to find something to do with them! 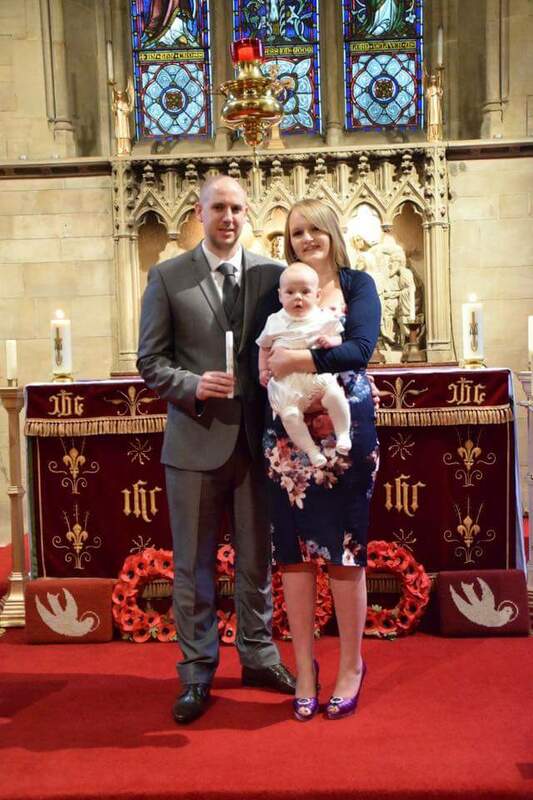 I really, really wanted Alfie to wear a traditional christening gown – but Craig wasn’t keen on his son wearing a “dress” (I’d like to point out, it’s not a dress, it’s a gown, and Craig wore one to his own christening, which I’d really like to share on here but I fear it may lead to a divorce…) So we compromised and I bought a gorgeous ivory silk outfit. We arrived to set up the hall, which ended up being a mad rush as we were late, and then Alfie started to scream and wouldn’t stop!! It was so stressful – the guests arrived and wanted to see Alfie but he was so upset and I was trying to calm him down. I was stressing which I know he could sense. Usually I’m so calm but I was conscious of time and making sure everything was perfect and it got off to a really bad start. Even feeding him didn’t help as he didn’t want it! 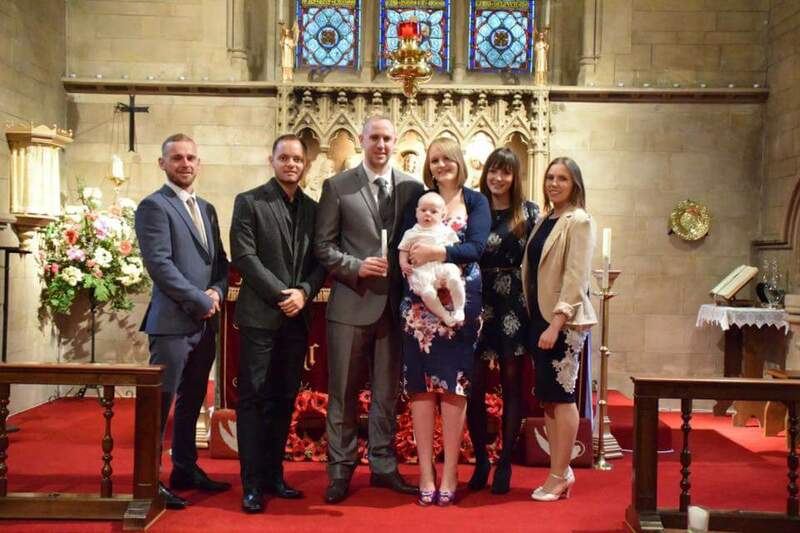 Eventually we just had to go to the church and I spent the whole service standing at the top of the church rocking Alfie to stop him from crying. In hindsight, I probably should have fed him at this point and everything would have been fine! Alfie finally calmed down, and then it was time to bath his head in the holy water, which of course set him off again!! But it was a beautiful service nonetheless, and we have a lot of lovely memories to cherish. 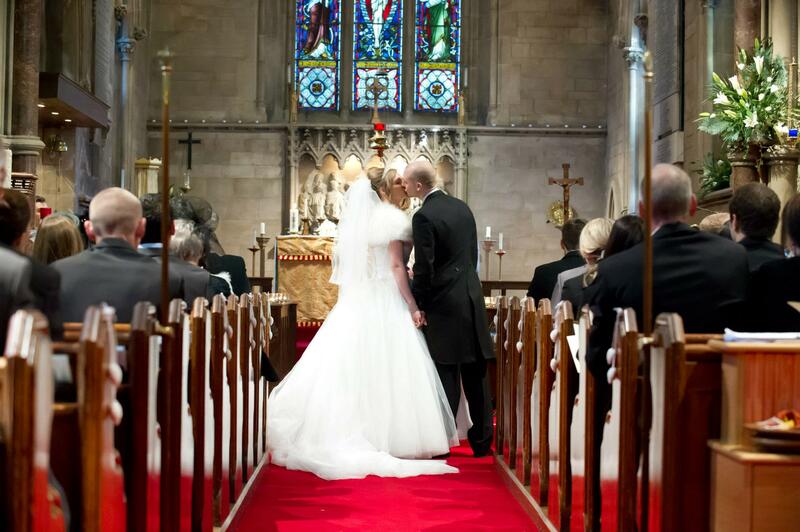 We had some lovely photos taken with our family, the vicar (Father Tom, who was lovely!) and the godparents and then we went over to the hall to mingle with friends and eat some food! We had a sweetie table which was demolished before we even arrived but I filled up on lots of cake and tea! 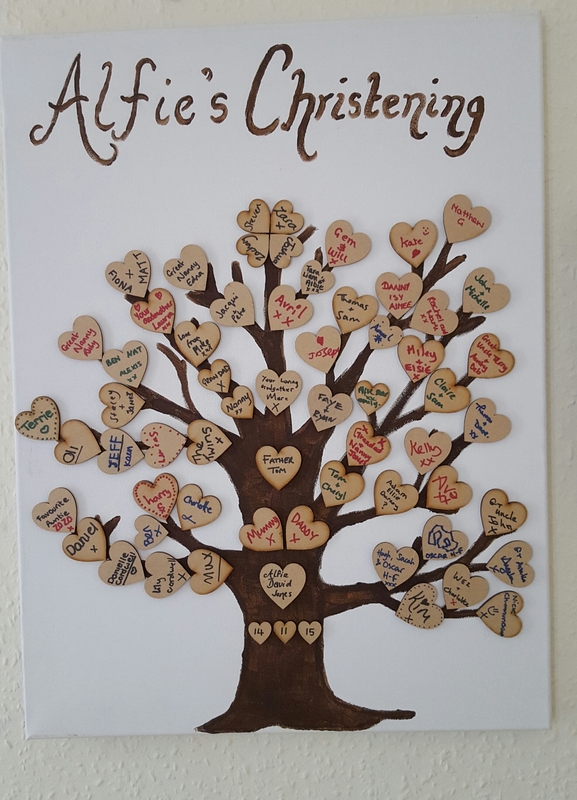 I wanted to do something to remind us of all our lovely family and friends who celebrated Alfie’s christening with us, so I made a guest book tree – I drew a tree on canvas and then asked everyone to sign their names on a wooden heart which I later stuck on. 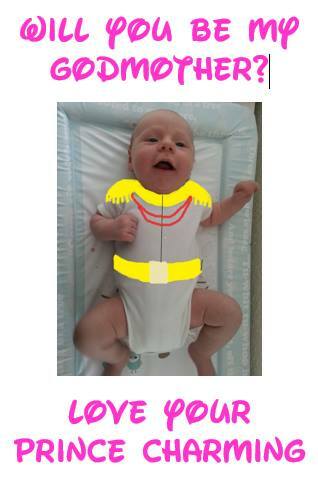 It is now hanging in Alfie’s nursery and I love it! The day was a lovely day – I’m so glad we did it when we did. Whilst perhaps not as enjoyable as I would have liked, it was still a lovely day and we have lots of memories to cherish. 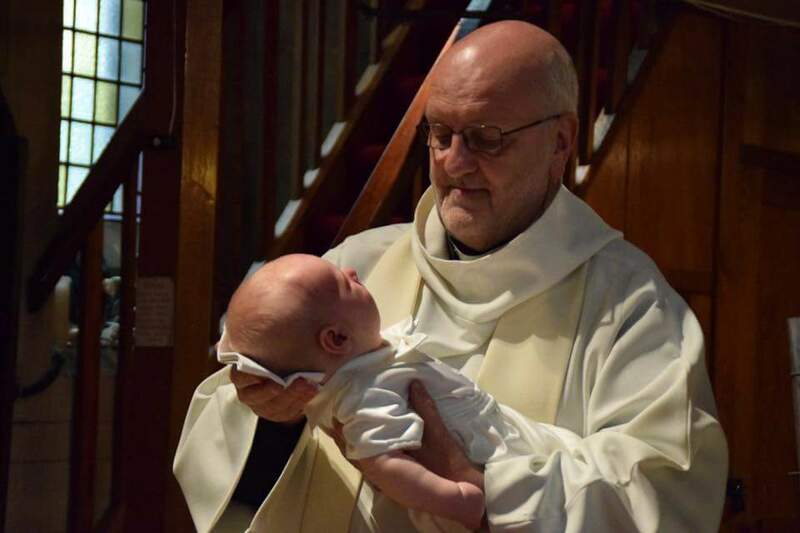 Most importantly, Alfie is now a part of the church community. The only smile we got from him all day! !